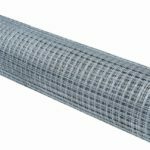 3ft wide 13mm x 25mm galvanized wire mesh Available by the linear meter, or by the full 30m roll. 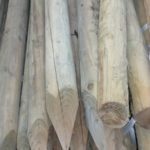 Whether you are looking for agricultural fencing supplies or some mesh for your garden you can bet that we stock the item you are looking for. We are one of the Midlands leading stock fencing suppliers and can offer competitive prices on all the common items you might need. We have numerous items for sale all year round and you don’t have to buy in bulk from us. We carry the most common stock proof netting, line wires and barb if you are looking to fence off an enclosure or repair and existing fence. We carry both C8/80/15 sheep netting and L13/122/15 pig netting, our galvanised barbed wire is supplied in 200m rolls and we have galvanised line wire in 400m rolls if required. Of course we supply all the extra items of metalwork you might need including galv’d nails, staples and eye bolts. 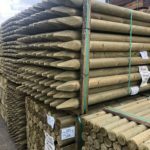 If you need round fence posts or stakes to mount your wire netting we supply a full range of tanalised machine rounds and stakes in various sizes to suit every application. We supply a full range of wire fencing materials allowing you to create or repair any type of wire fence you may have. We have a wide selection of standard and heavy duty galvanised ferrule winders, wire spacer bars, line wires, fencing staples and eye bolts to suit complex railway wire fences through to standard farm land fences. We also carry round timber fence posts and concrete fence posts that are ideal for use with wire fencing. Perhaps you need some mesh to keep the pet rabbit enclosed? We have chicken and rabbit netting for sale in standard roll sizes as well as larger galvanised netting that can be mounted on fence posts to create tougher barriers. If you need chain link fencing materials for your garden or for heavy-duty use we have all the items you need. Our chain link fencing supplies include various types of posts as well as the full range of mesh and ironmongery. We are always happy to give advice if there is anything you are unsure of or if you are after an item you can’t find on our pages, please Call in on 024 76 588 909 and we can help with specialist items or advice on stock items.